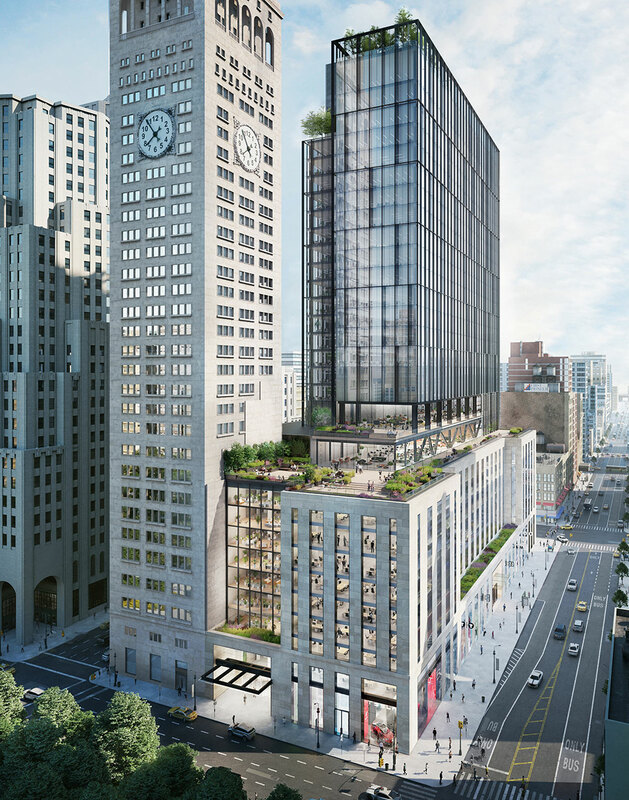 In a major reveal, SL Green Realty has announced its plans to redevelop and expand their existing 13-story office building at One Madison Avenue. From architects Kohn Pedersen Fox, new designs include 18 new floors of Class-A office space, tenant amenities, and more than an acre of outdoor terraces. 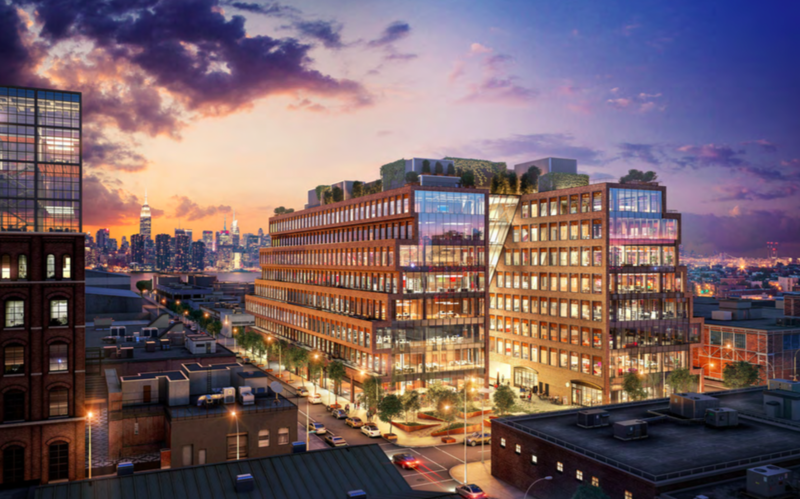 A major commercial project has officially topped-out at 25 Kent Avenue, Williamsburg, Brooklyn. The building will bring a phenomenal amount of office space to the area, along with room for retail and production facilities. Rubenstein Partners and Heritage Equity Partners are developing the full-block eight-story structure. It was only last summer that the latest major addition to Williamsburg’s nascent office development boom had received a special permit from the City. Now, construction on 25 Kent Avenue is well underway, with the latest from 5B Films showing the first floor beginning to rise. Since façade installation was underway earlier this year on Columbia University Medical Center’s 15-story, 107,299 square-foot Medical and Graduate Education Building at 104 Haven Avenue, in Washington Heights, construction has wrapped up entirely. Photos of the completed 196-foot-tall building can be seen in a Curbed NY report. The new academic building will feature a lobby and café on the ground floor, a piano room and a 275-seat auditorium on the second and third floors, and a mix of lecture halls, classrooms, offices, and laboratories on the fourth through 14th floors. 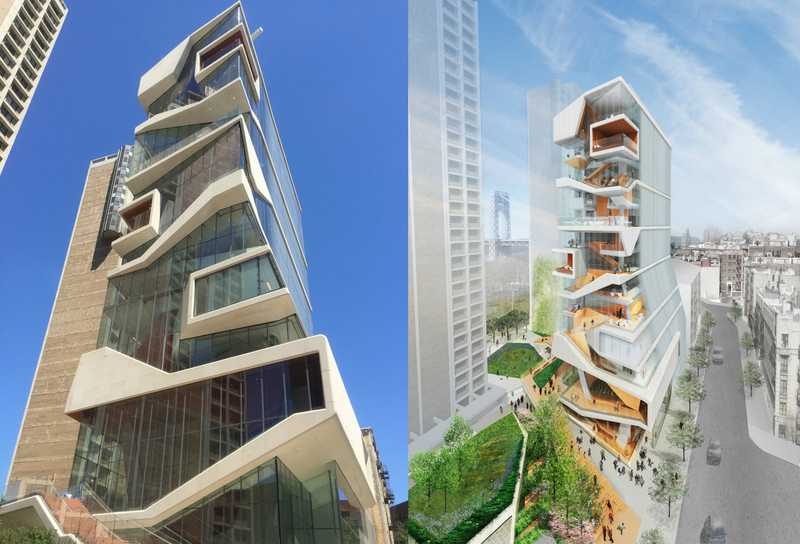 Diller Scofidio + Renfro is the design architect, while Gensler Architects is serving as the architect of record. The facility will open on August 16.